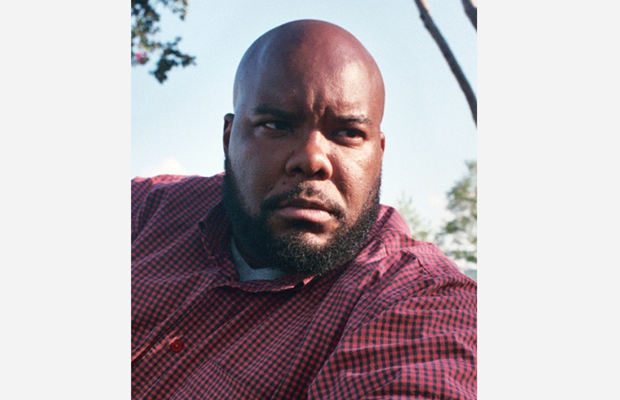 Kokayi (Carl Walker) is a Grammy-nominated emcee, producer and educator. His music can be heard in the new Kevin Hart feature film “Laugh At My Pain” (which released nationwide on (9/23/11). Kokayi continues to exemplify the practice of “operating outside of the box”. His latest album, Robots & Dinosaurs still receives critical acclaim, receiving a 93/100 from the tastemakers at Okayplayer. His video for lead single “RoxTar” won “The Freshmen” contest for MTVU and is currently in rotation on the network all while grabbing several honorable mentions on “Best of 2010” year end lists. As a producer, he co-produced “Lovin’ You (Music)” by Ethiopian singer Wayna (for which he garnered the aforementioned Grammy nomination) and “Moonlight Rendezvous” that spent 7 weeks on Billboard’s Top 10 R&B/Hip Hop Singles & 100 Hot Singles Sales charts, peaking at #3 and #12 respectively. He’s collaborated with Maybach Music Groups artist Stalley for exclusive original songs for ESPN, created the theme to BET’s How I’m Living and Microsoft’s Jitterbugs. As an educator, Kokayi has taught classes on vocal improvisation, hip hop history and the business of music, he has performed and lectured in over 35 countries, serves as faculty with the School of Improvisational Music (based in NY) and has partnered with the US State Department serving as a cultural envoy via their Rhythm Roads program, which utilizes hip hop culture, education and music to foster cultural exchange. Kokayi creates and nurtures his own sound, having developed his own brand and works toward being both a student and a teacher of his diverse forms of expression. Along with his high level of productivity, quality music and electrifying live performances – Kokayi continues to pay homage to his mantra of “Less Talk, More Walk”.